ISTE offers multiple advertising opportunities through our contemporary and high-impact communication channels. Advertise in Empowered Learner, our quarterly membership magazine; on the ISTE Blog, our robust online content platform; or ISTE Update, our monthly member e-newsletter. View the advertising media kit. Contact us to find the right advertising solution that is right for you. Empowered Learner, our quarterly membership magazine. ISTE Blog, our robust online content platform. ISTE Update, our monthly member e-newsletter. ISTE offers two quarterly published peer-reviewed research journals produced by experts in the field of technology education. 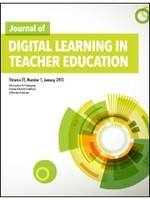 Journal of Digital Learning in Teacher Education (JDLTE) boasts the latest research about technology education for preservice and inservice teachers. To advertise in JDLTE, download the rate card (PDF). 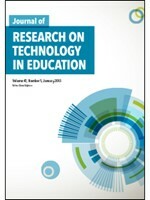 Journal of Research on Technology in Education (JRTE) features articles that define the future horizons of learning and teaching with technology in educational environments. To advertise in JRTE, download the rate card (PDF). ISTE offers a host of advertising opportunities via our annual conference and expo. Visit the advertising page on our conference website to learn more. ISTE offers rental of our member, nonmember and conference attendee postal lists. Rentals are available on a one-time-per-use basis from our list management representative MGI Lists. Mailers may select from a variety of categories in order to segment and target a list comprised of your intended target audience. Lists are usually sent via email in a zipped file. The NCOA certificate is available upon request. Use of any mailing list is subject to ISTE approval. For more information visit MGI's website, email ListManager2@MarketingGeneral.com or call 703.706.0304 or 800.899.4420.